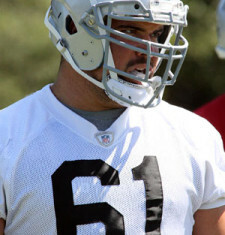 Stefen played collegiate football at Penn State and was a three-time Academic All-American (2008-10), earning a 4.0 grade-point average during the 2009 spring and 2007 fall semesters. He was the first Penn State student-athlete to be named an Academic All-American three times. He was also named First Team All-Big Ten in 2009 and 2010 and made 1st Team All-American on the Coaches Team in 2010. During his NFL rookie season in 2011, Wisniewski was named the Pepsi NFL Rookie of the Week for Week 3. Over the course of his first four NFL seasons, he has started 61 games at both center and guard. The Pittsburgh, Pennsylvania native is also active in the community, as he has volunteered with Toys For Tots, the G-Fit Gatorade Clinic, High School Player Development, and visited the Oakland Children’s Hospital. 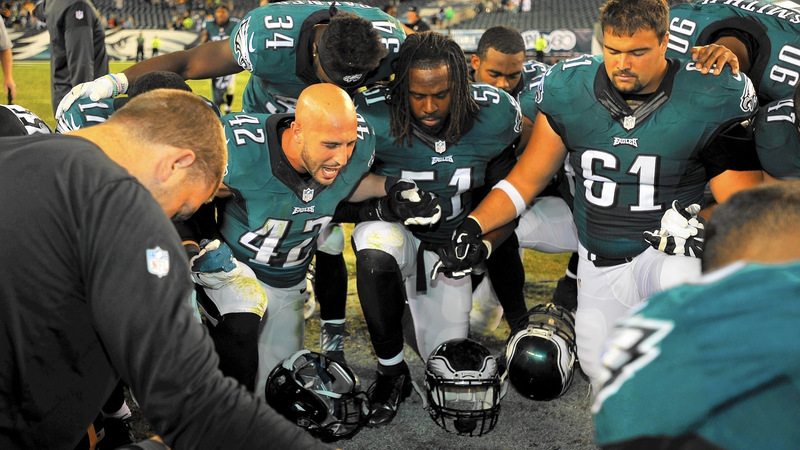 He has been very active with the Bay Area Fellowship of Christian Athletes visiting many area schools and giving talks to student-athletes over the past 4 years.